This lady can do it all! 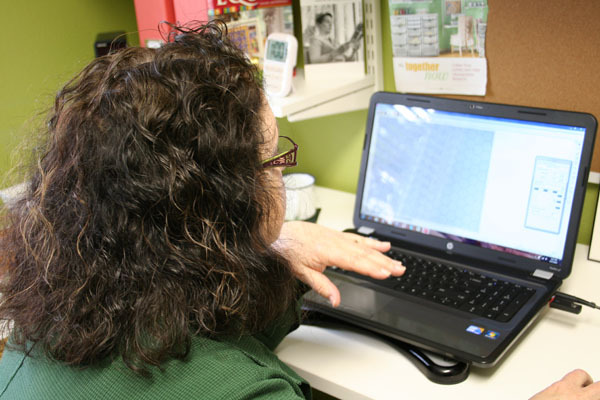 Check in on her latest ideas and projects. It took about two and a half months, but I am finally back in my room and loving it! I spent the last few days sewing in my room and believe me, it was great. It is amazing how wonderful an uncluttered room feels; I could spend all day in there. Can you believe I even have empty drawers, bins and shelves? 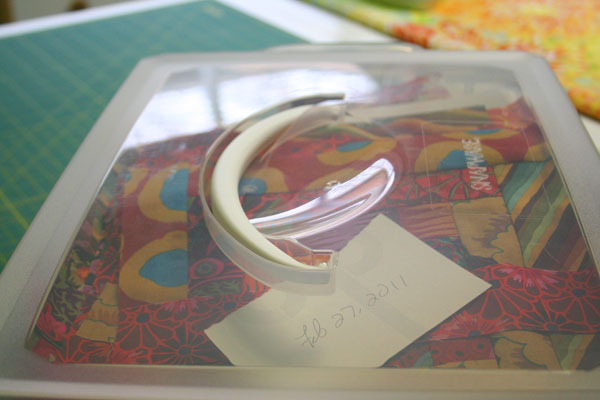 I keep my fabric rolls and some of my scraps in my new bins. I've even got some extra space! The last of the fabric to sort through was the fabric rolls. Any pieces that were between 9″ and 17″ wide fit into this category. 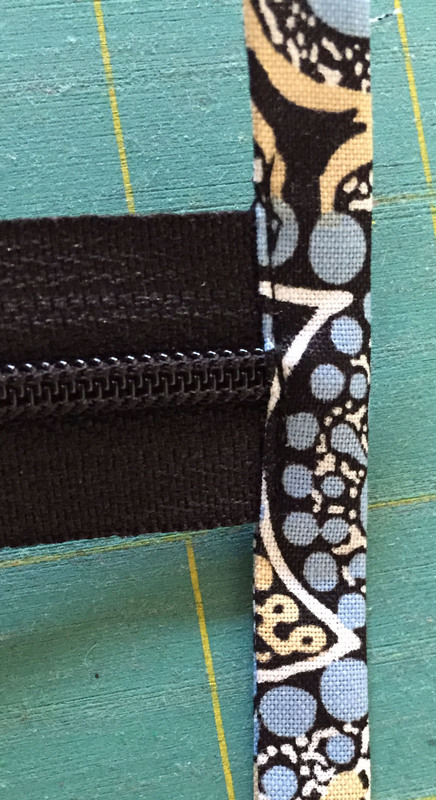 The fabric was trimmed to 12″ and placed right side down. I pressed it out and stacked it with 6 fabrics together, then rolled it up from selvage to selvage and secured it with a rubber band. Now when I need to cut strips for log cabin quilts, or squares for other quilts, all I need to do is unroll a few inches and cut. The logs in my log cabin quilts are not longer than 10 ½”, so this works great. Any pieces that were trimmed off from these were placed into the scraps that I have already sorted in groups of dark, medium, light and bright. All my unfinished projects were placed in clear, stackable containers. They are now on the shelves in my room and marked with a date. The date makes me accountable that these are going to be finished in the next year. I have 6 projects now, but there are still a few at Karen’s. Gee, maybe she’ll finish a few for me? February 27? Oops. I guess I'm a little behind. Don't tell Karen! The shelves in my closet now have my books and other miscellaneous stuff like a light box, interfacing, embroidery supplies and beads, and I still have empty shelves and drawer space. 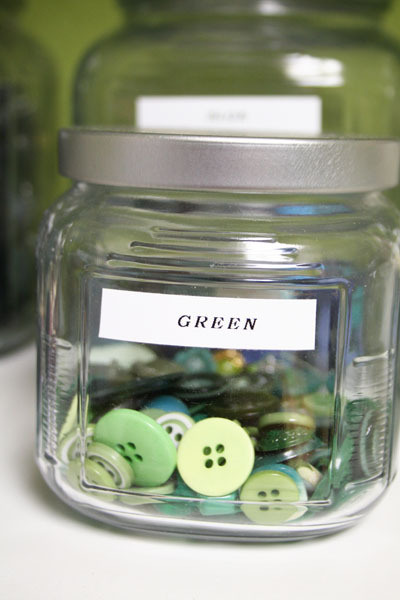 One small change that makes your room look uncluttered is to have all of the containers match. 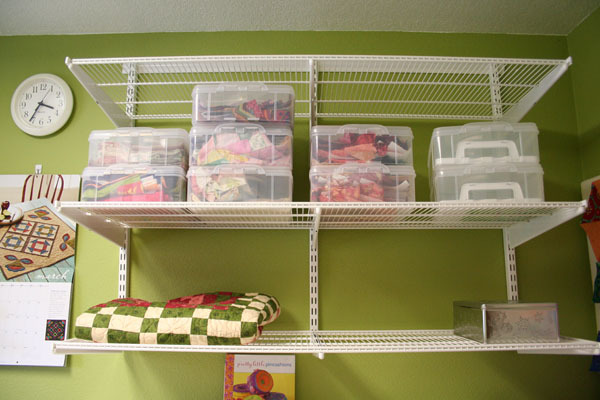 It is amazing how this one small change help your room and closet look organized. I love my beautiful new containers. 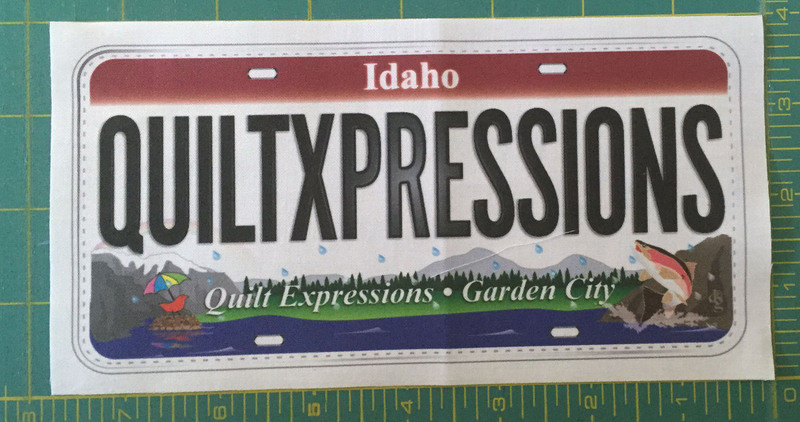 I've got some of them labeled -- these are my light and dark pieces that are ready to be made into a log cabin quilt. There were many things I learned during this process, but the one question that I was asked the most was “did I find stuff that I didn’t know I had”. Well, of course I did! What was the best lesson I learned? 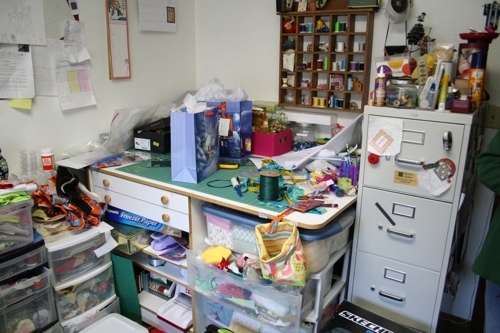 Only sewing things go in my sewing room. I know that Karen doesn’t quite trust me yet since I got caught a few times “sneaking” in some very small pieces of unsanctioned fabric. She plans on some surprise visits to make sure I am still uncluttered. I keep telling her that she is acting like a rehab counselor – maybe she is. All kidding aside, this has been one of the best experiences I have ever been involved in. My room is beautiful – thank you Karen! I'm very excited about my new laptop. I've got it right next to my sewing machine so I can test out new pattern designs and check back to my screen for direction. 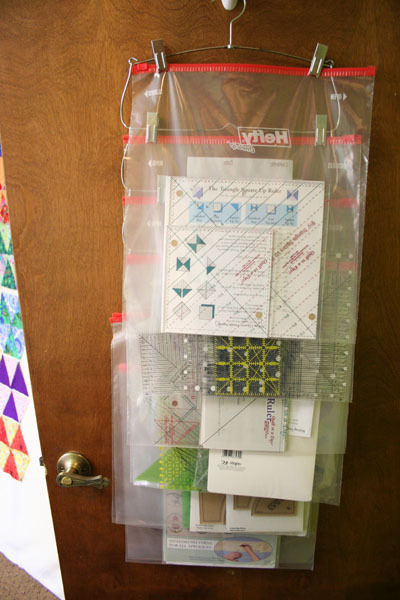 This is the BEST way to organize your rulers! I've got a different ziplock bag for each ruler and instructions. It's so easy to find what you need and has everything right there. 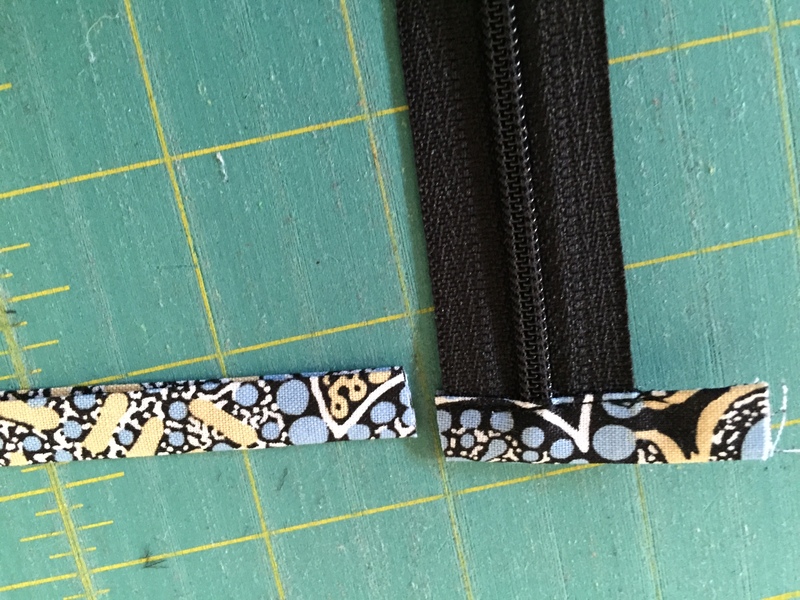 The Big Dig Part V: Fabric, At Last! Finally! Karen has let me take home some of my fabric — but not all of it. She doesn’t trust me to manage all of it at once (I don’t like to admit this, but she is right). A lot of my fabric is still in Karen’s basement and believe it or not I kind of like it that way. Did I really just say that? 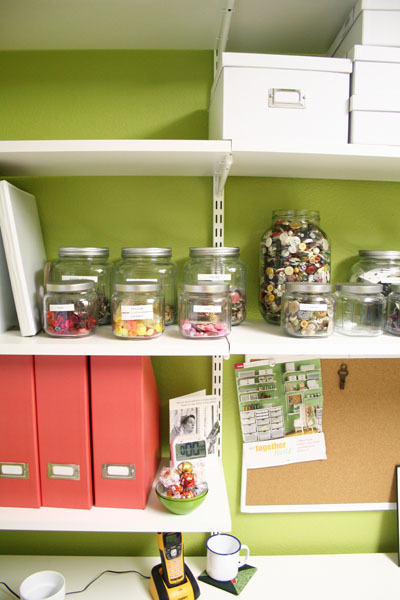 Well, there is something inspiring about a non-cluttered space with room to work. Even after our sorting party, there was a lot of “stuff” to go through. 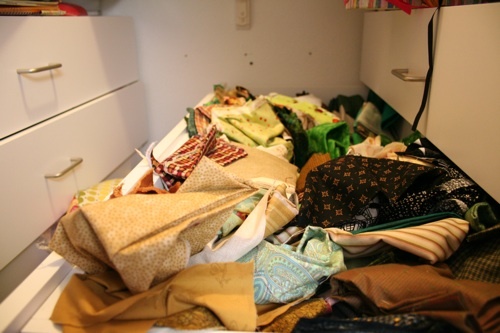 It seems like every time I open a new container, there is more fabric – how did I manage to collect all this stuff? Karen and I spent all day Sunday going through it. I have donated and pitched bags and bags of stuff. It’ a liberating feeling and no, it doesn’t want to make me buy more! It makes me want to keep it all neat and tidy. 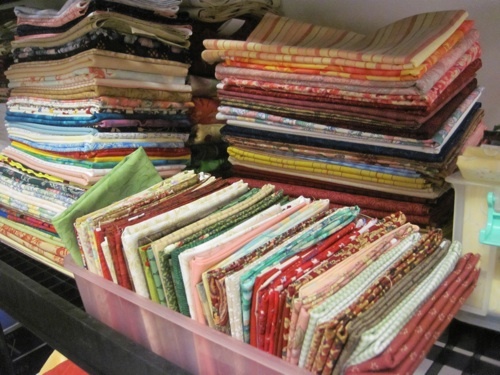 I think the best advice with sorting is to know what you want to make with all of those scraps. 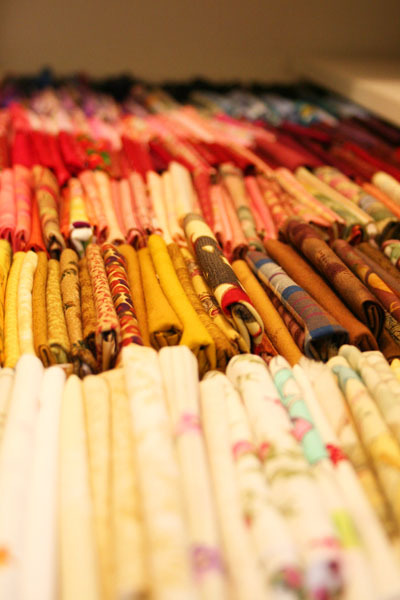 Scraps are pieces of fabric that don’t fit into the categories of fat quarters or yardage. In other words – odd shapes and sizes of fabric pieces. 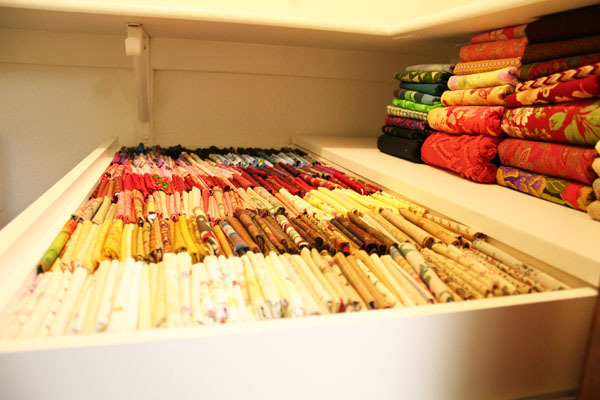 If you plan to make log cabin quilts, then you can sort the fabrics that will work best for that type of quilt – i.e. scraps that can be stripped, but no odd sized little pieces. If you appliqué a lot, then even little pieces work if you sort them by color. At home I have been organizing my scraps. I decided to place them in four large bins that will hold enough scraps to make lots of log cabin blocks. We sorted them into dark, medium, light and bright. I have gone through the medium and bright groups and pressed them into manageable pieces and then banded like colors together with large rubber bands. It takes me about two hours to sort, fold, and press each group (no I didn’t time it, even though I do have my timer back). 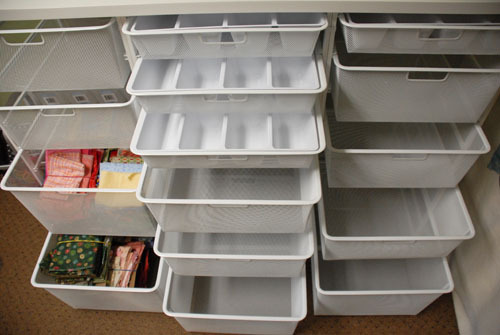 I figured that these bins would be the first thing to get messed up if I didn’t try to keep them in some sort of organized order. For those of you who are curious, I have been able to keep under my budget of $1,200. I ordered most of the shelves online from The Container Store. 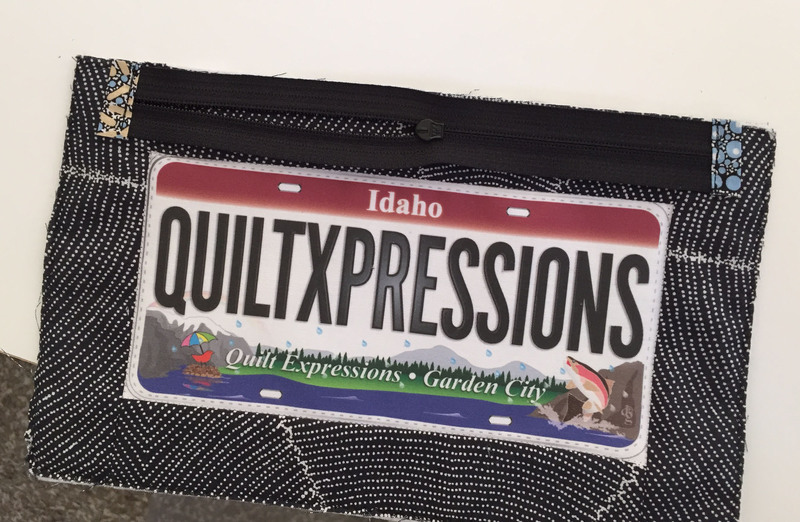 I have been really impressed with the quality of their products and the great customer service. What’s left to do? 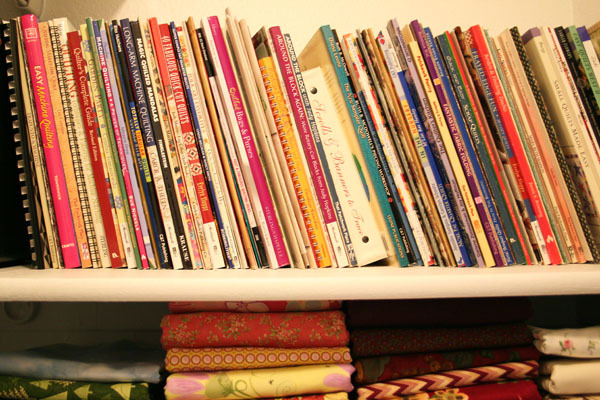 We haven’t even looked at all the books and patterns; then there is the other craft stuff that I have collected; and we still have all the projects that are in progress or projects I’ve planned but haven’t started – that will take some time. Oh yes, and there is still more fabric to fold and sort. Sure hope I have it out of her basement by spring! 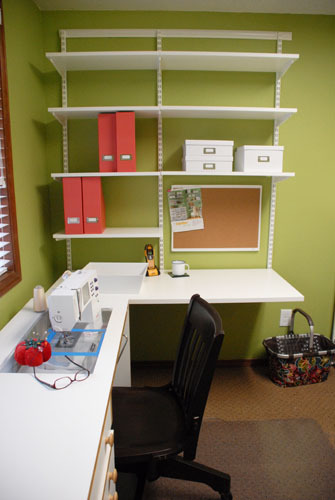 I keep the advertisement for the shelves I bought posted on my cork board for inspiration to stay tidy. Stacy said my room looks even better than the one from the catalog! 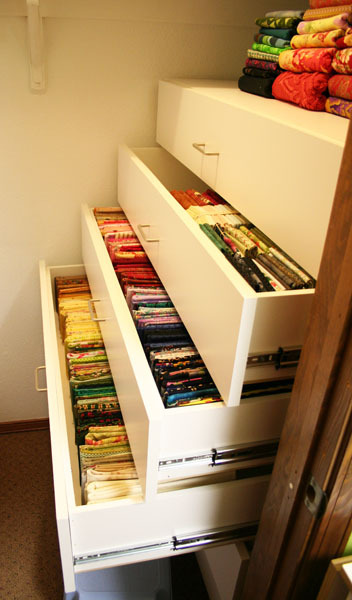 Bottom drawers are for fabric that is over 1/2 yard and under three. Top two drawers are for all of my fat quarters. I can get 400 into each drawer! (Yes, I counted!) Everything over three yards is on top of my closet drawers. Scraps are in my beautiful new bins. Can you believe this still isn't all of my fabric? Luckily I still have a lot of empty space to fill in my room. 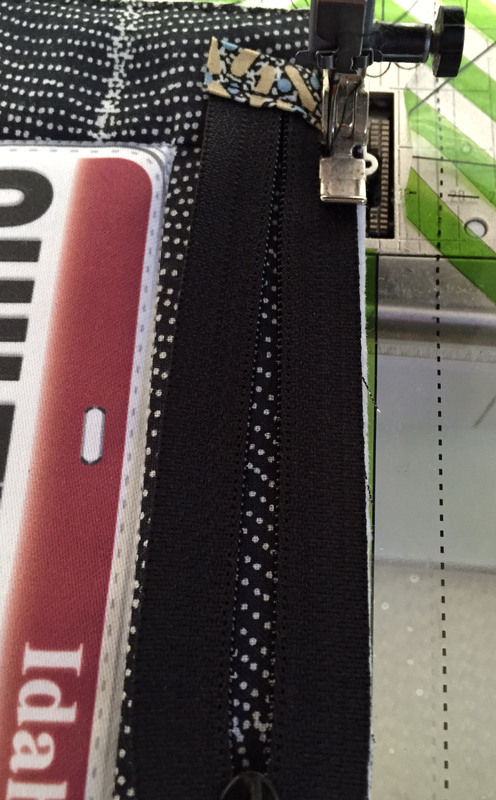 I’m sewing again! 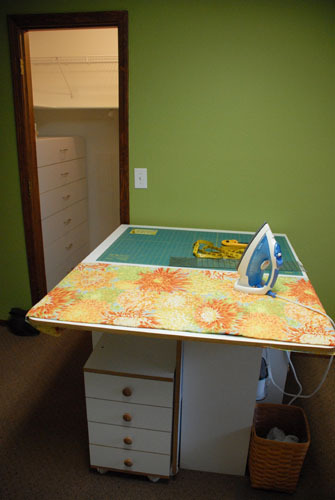 I have a sewing table and machine and a cutting table in my sewing room. Since Karen took away my big ironing board, we had to come up with another solution for pressing. The cutting table that I have lends itself to a great ironing station, but I had to figure out some way to make a pad for it. We picked out fabric that matches the walls and some of the accessories. It was one of my favorite prints – a bright Philip Jacobs design in all the right colors. I lined the fabric with Insul Fleece to protect the table and attached it temporarily with tape – I’m still trying to decide if I need a better solution to keep the pad from slipping. 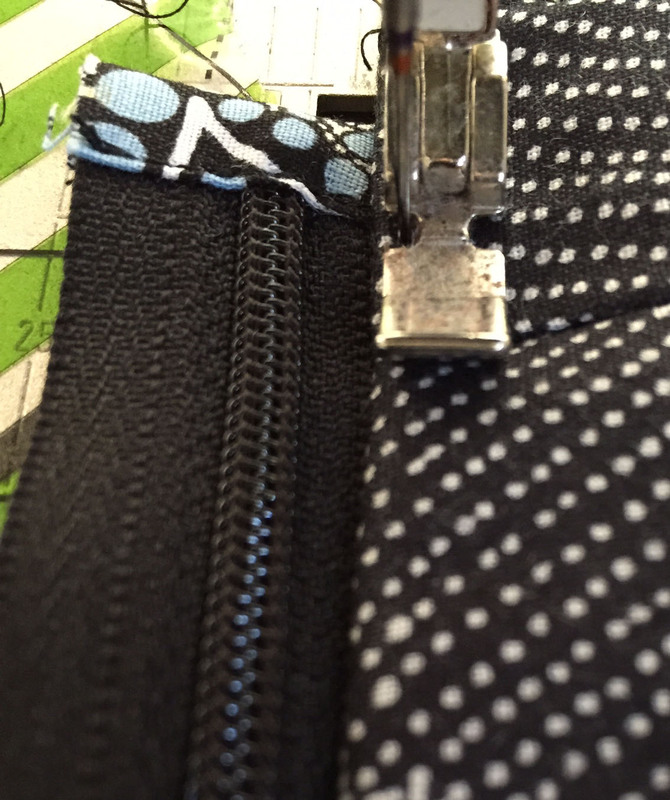 It felt so good to hear the hum of my sewing machine – oh how I have missed her! The shelves are up, too! They are beautiful, and the best part is that I can adjust them if I need to. I still don’t have much in my room and every time Karen comes over she checks things out to make sure I’m not sneaking something in. Where is all my fabric? You guessed it, still in Karen’s basement. We are still sorting. The plan is to get everything folded and then decide what I really have room for. We haven’t even tackled the projects that are in progress – I just know she won’t let me have all of them at once (or maybe ever). • Be thorough even if it means going slow. • Be realistic about what can get accomplished. • Donate what can’t or won’t be used. Stay tuned for more exciting updates about Della’s Big Dig. The Big Dig: Part III: Dump, sort, fold. We've made progress here. 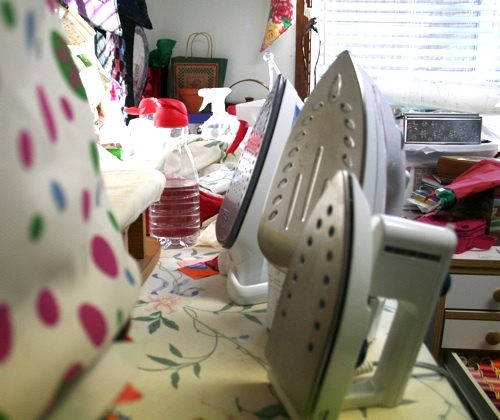 There used to be countless trash bags of fabric piled in our basement workstation. 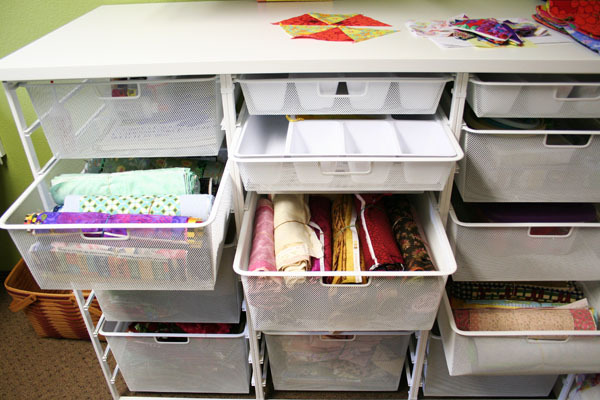 In our free seminar on January 8th, Everything You Ever Wanted To Know About Organizing Your Sewing Room, we gave out lots of ideas on how to get organized. 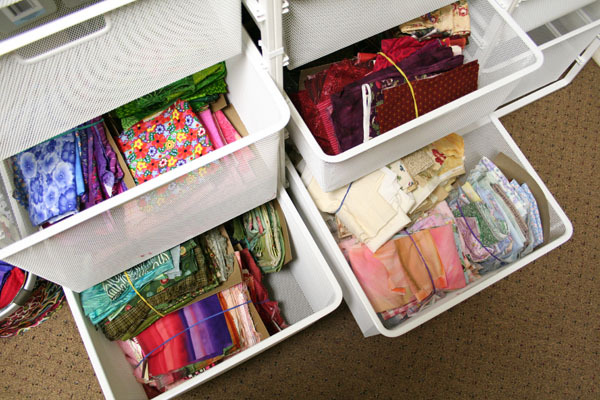 Well, the next day we used Karen’s good advice and started to sort my fabric so we could start bringing my stash home. Since all my fabric is in large garbage bags, we sorted one bag at a time. Dumped the bag, sorted the fabric, folded the fabric. 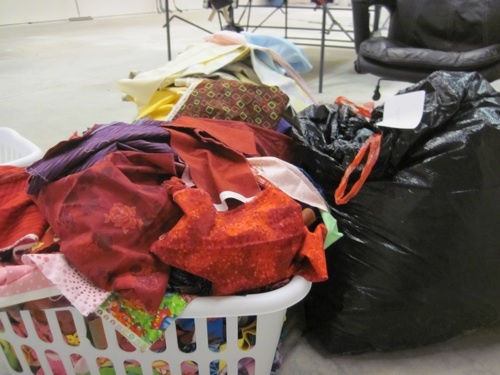 Here's some fabric we dumped into laundry baskets. Ready for sorting and folding! • Fat quarters are folded by bringing the long edges to meet in the middle, folded in half again lengthwise, then by bringing both short ends to the middle and folding in half. Stack in a pile. 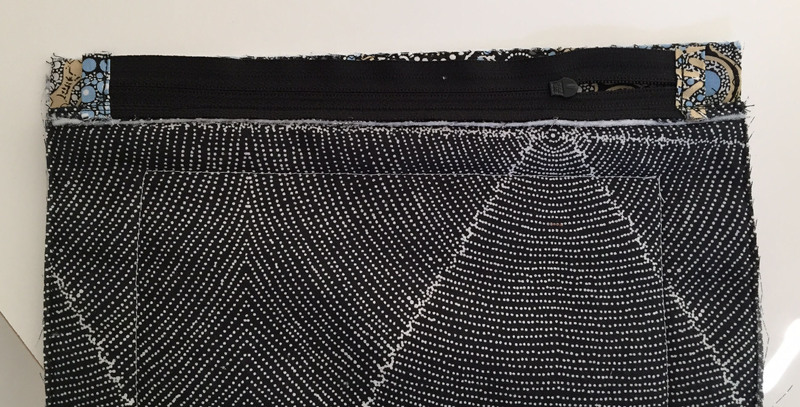 • Yardage between 9” and 18” are grouped by color. 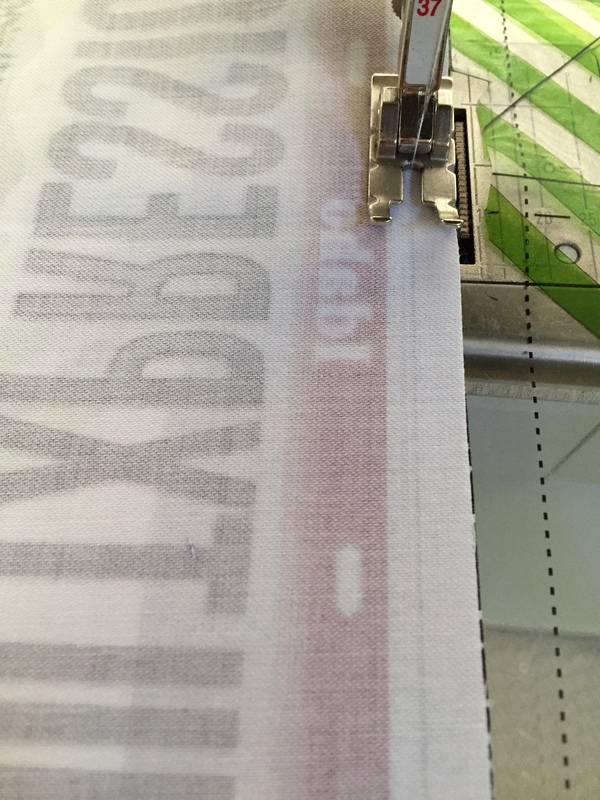 We trim these fabrics to 12” x width of fabric. The scrap goes into the scraps pile. 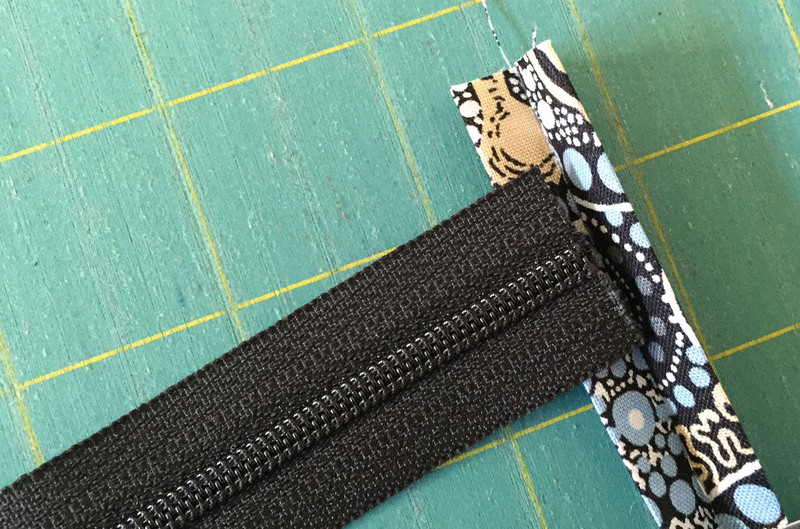 We pick six fabrics, open each fabric and layer it with the narrowest on top then roll the fabric into a 12” roll and put a rubber band around it to hold it together. After five hours of dumping, sorting and folding, we only made a small dent in my stash, but the finished product looks so nice, neat and pretty. Now we just have to keep working away at the mess in Karen’s basement. Can’t wait to bring it all home. 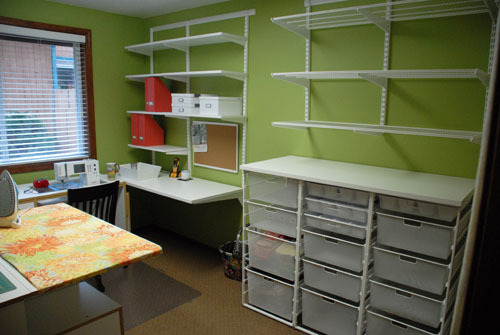 I walk past my empty sewing room and just dream about how beautiful it will be. It’s hard to be patient, but it’s well worth the wait. Holy cow, there really was a room in there! My clutter and collection has been building up for years (maybe even decades?) It was almost to the point of no return, until Karen stepped in to help me get it under control. 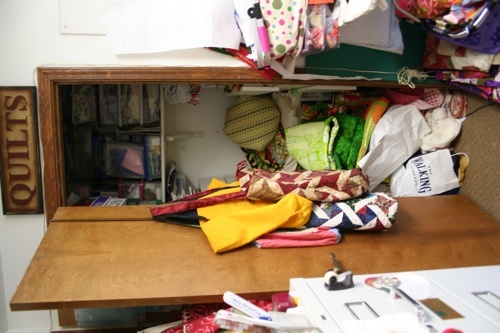 I know I’m not alone in having a scary sewing room, so for the next few weeks you can join me on this journey to a more organized life. 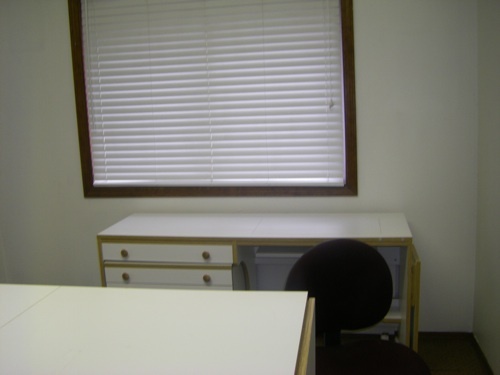 I don’t have a large room – it’s a converted bedroom about 9′ x 11′ – give or take a few inches. I really had it jammed packed with stuff. 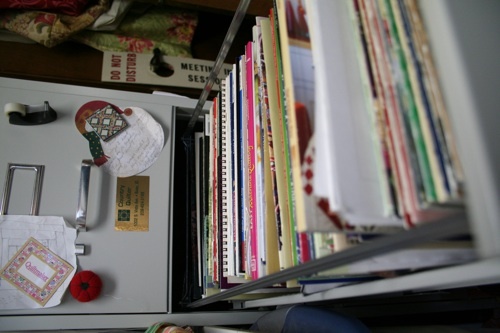 There were lots of pictures on the walls; an oversized ironing board (which I love, but most of the time was covered in stuff); a large design wall that I was unable to get to because the big ironing board was in front of it; two wonderful pieces of furniture that filled up most of the room; my prize file cabinet with 30 years of quilting patterns and magazines in it; and oh yes, I must not forget that my fabric collection was in the walk-in closet filled to the brim – in fact you couldn’t even walk into the walk-in closet. Yes, I had a problem. 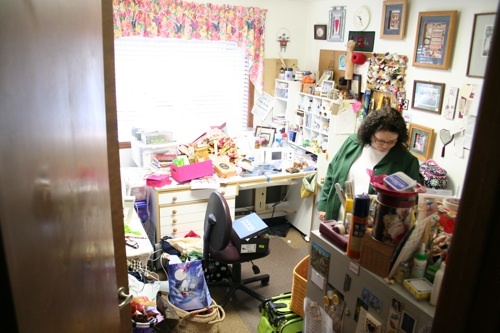 My first task was to remove everything, yes everything, from the room. Wow, was this going to be hard! I soon found out that I was not just packing, but packing AND sorting. This job would take me forever. Where was I going to put all of this stuff? 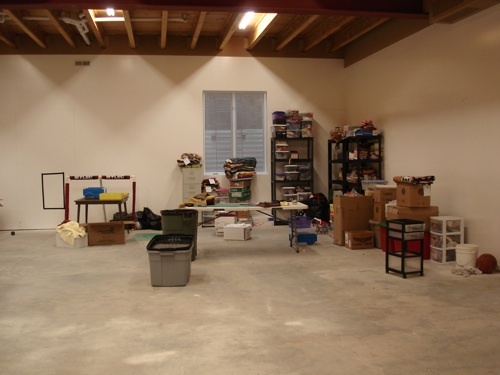 Luckily, Karen came to the rescue – she offered her basement to temporarily store everything. January 1st was our date to move everything out. Well, guess what? I hadn’t even made a dent by then. That’s when I found out the proper way of doing things. Pretend that you actually are moving (I haven’t moved in over 30 years – no wonder I don’t know how to do this). Dump everything in a box and sort it later. It took Karen about 3 hours to pack everything up and get it out of the room. 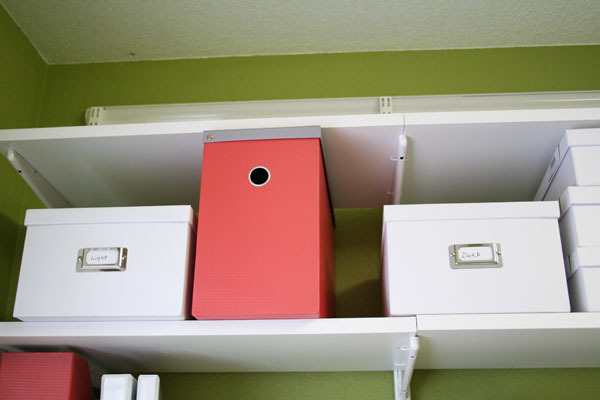 Here is a tip for you: use small moving boxes to pack in. I sent my husband to buy some moving boxes and he came back with big plastic storage tubs. Yes, you can fill them up, but you can’t pick them up! Once the room was empty except for the large furniture (that I moved to the center of the room) and I could start to clean. Gee, it was easy to vacuum when the room was empty. I could even see the carpet for a change! Next step – paint. 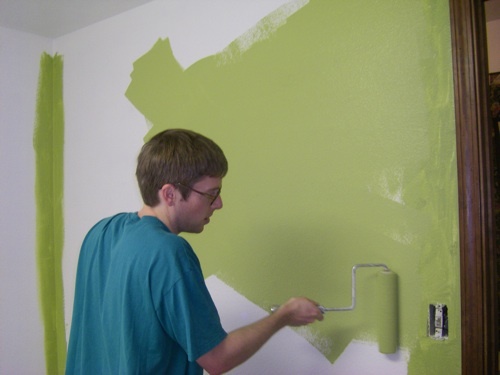 Karen and her son came over and painted my room in only a few hours – I’m the luckiest person to have a friend like her. 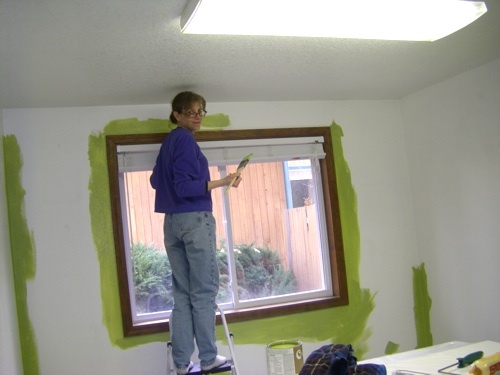 I got to watch the action – I don’t think she trusted me to paint; sure can’t imagine why. 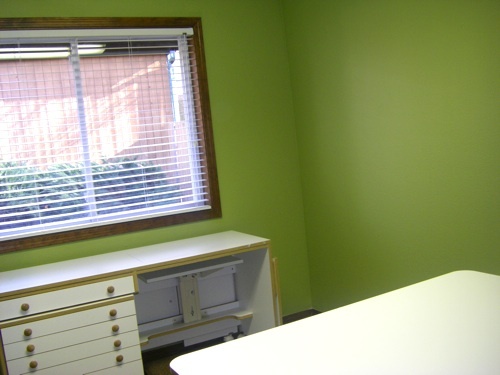 The room is now a lovely color of green and I have been working on cleaning the woodwork for the last couple of days. 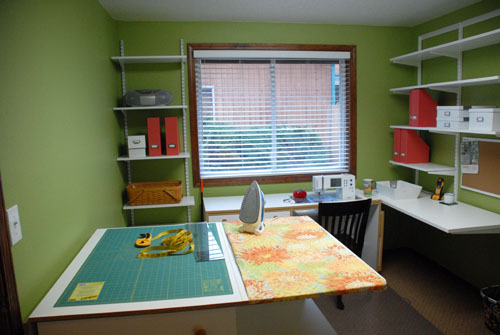 It is so hard to walk past my empty sewing room; it’s like having withdrawals. I don’t even have my sewing machine here. 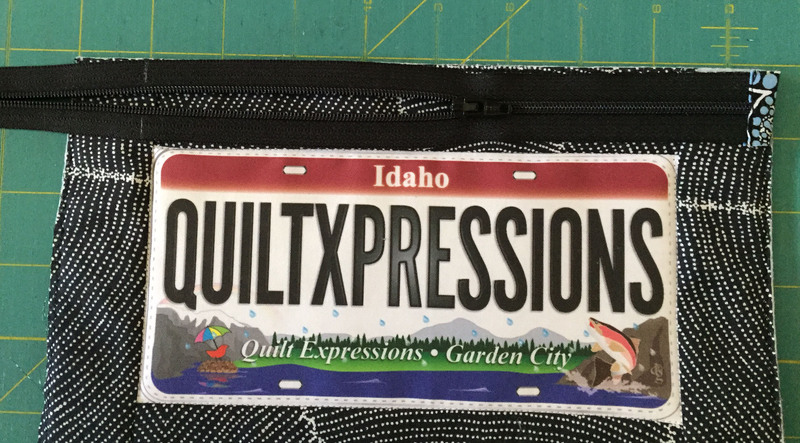 All that was left was a couple of old quilt magazines. She would have taken those too if she realized I had them in a magazine basket in my family room. I think I have looked at them at least 10 times – I really miss my stuff. The next step will be to come up with the furniture arrangement and decide what shelves need to be purchased for the walls. 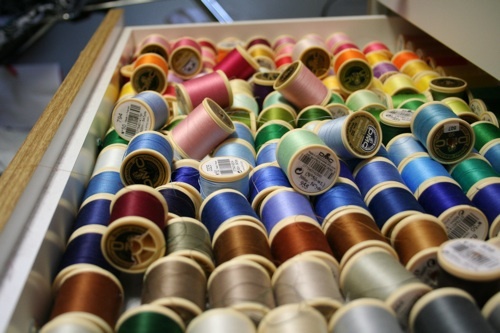 Can’t wait to get back to sewing! A few weeks ago, I got to go on a field trip. To Della’s house. This was very exciting for me because Della’s cute little abode is famous, especially at Christmas time. 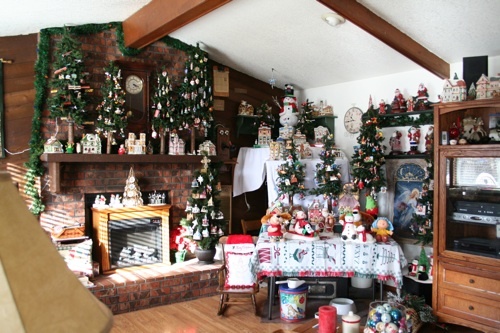 Her husband is a fanatic for Christmas decorations, specifically Christmas trees. They are rumored to have well over 30 trees inside their house, each meticulously decorated. But the trees weren’t what I was going to see. Nope, it was another kind of horrorshow that I was interested in. I was going to see her sewing room. Della is a sewing goddess. 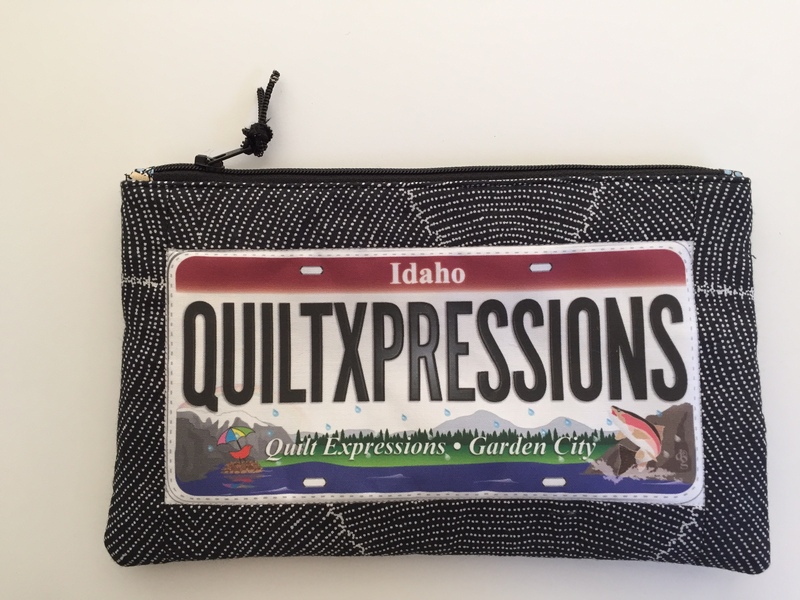 She cranks out projects like an industrial machine, quilting perfectly in practically no time at all. But when I saw her room, I was shocked. How can she move around in there? How does she even know where anything is? Della once told me “I must have been thin and organized in another life, because they are both things I have never managed to be.” Regardless, we love Della to death and as Della gave me a tour through her tiny sewing universe, stopping to tell me adorable stories of all her nick-nacks, it all came together. 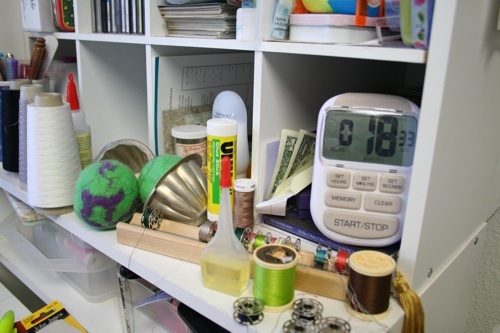 Della is so focused on her sewing that organizing her stuff never came into the picture. But we are out to change that. 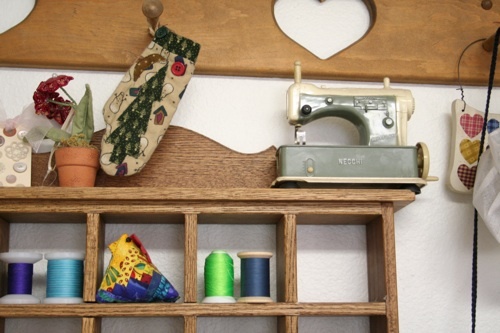 Stay tuned as we follow Della through her sewing room saga and maybe you can pick up a few tips here and there on how to get your own creative space in order! 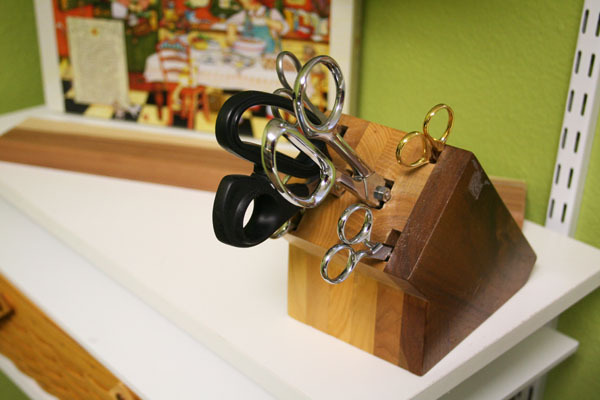 How do you cut at your cutting table, Della? This is where the fabric lives. At least something was organized. Do you need three irons? 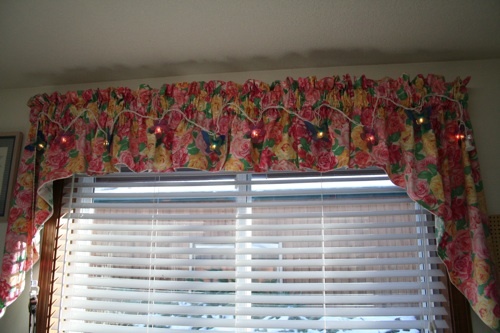 If the lights are on, it means her iron is on, so she never forgets to turn the iron off. Clever! 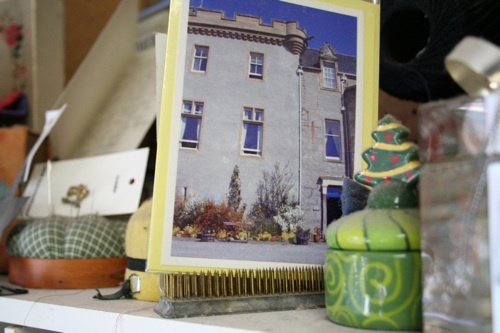 This is a castle in Scotland that her ancestors lived in. Now it's a hotel and some say it's haunted. I want Della to take me there! Della times all her sewing projects and tries to do them faster each time. You go, girl! The rumors were true, folks. Well over 30 Christmas trees, big and small, are at Della's house.